NEW HAVEN, CONNECTICUT – The racing team of Kip Moncrief and Mike DeVine entered to run the La Carerra PanAmericana, a Mexican road race this October (2008) as the first team in history competing in a racecar that runs on grease. 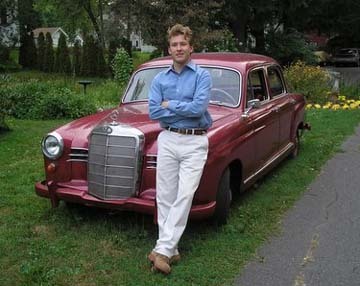 Under the name SolShine Alternatives, the team will drive a converted 1959 Mercedes-Benz Type W121 190D Ponton diesel sedan from New Haven, Connecticut to the start of the race in Tuxtla Gutierrez, Mexico fueled by waste vegetable oil picked up along the way. 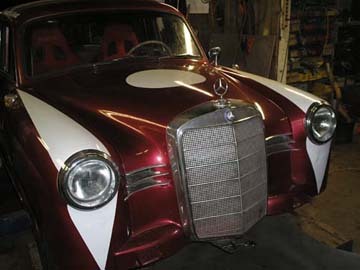 A second grease car, a 1984 Mercedes-Benz Type W126 300SD, will be the chase car carrying fuel, supplies, and a documentary film crew. The team's goal is to spread the word about alternative fuels and highlight their dream that racers will be able to drive competitively and green in the future. Moncrief, 24, is the Manager of Operations for Connecticut BioFuels, the largest for-profit waste oil collectors and distributors in Connecticut. He is also a member of the Sports Car Club of America and a lifelong auto sports enthusiast, racing road courses like Watkins Glen, and Lime Rock, and short track ovals like Monadnock, N.H. In the off-season Moncrief ice races cars with the Adirondack Motor Enthusiast Club on various lakes in upstate New York. DeVine, 25, has lived and worked in Jackson, Wyoming since graduating from St. Lawrence University in 2005. While in school his focuses were global climate change policy and sustainability. He attended the UN COP10 meeting on global climate change in Buenos Aries, Argentina as well as the UN COP11/MOP1 meeting in Montreal, Canada in association with Earth Council Geneva to promote their e-learning programs. 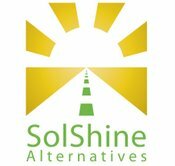 SolShine Alternatives is a not-for-profit organization in Connecticut dedicated to educating the public about alternative energy and all of the options for a more sustainable society. The race is being funded by the drivers and by charitable contributions.